SIR HUNTER OF HONEYVILLE "Hunter"
​Meet our gorgeous new stud! 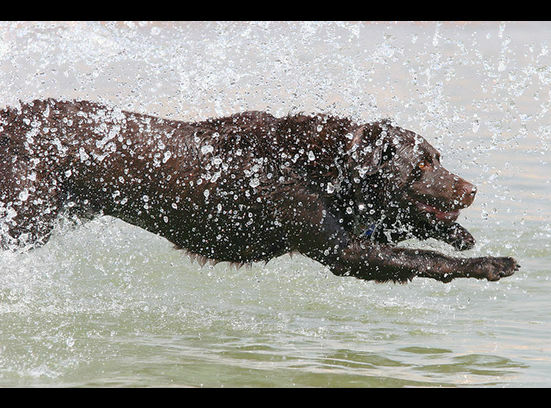 He comes from a long lineage of AKC-OFA-CERF-UK CHAMPION LINES!! Great confirmation and health. He's available for $1,000.00 stud service! We ship sperm all over the US/Canada. 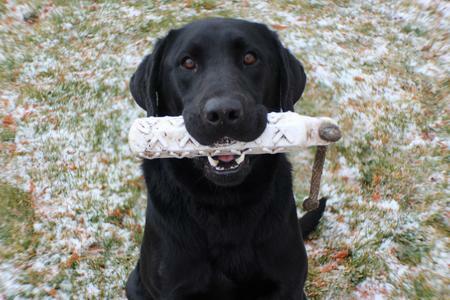 We have our "Jingles" bred to famous Dustbusters Travelen Man SH "Trav" from www.fetchitupkennels.com. Jingles is full English lab and "Trav" is full American Lab - hunting lines, champion blood lines, OFA tested, DNA tested. 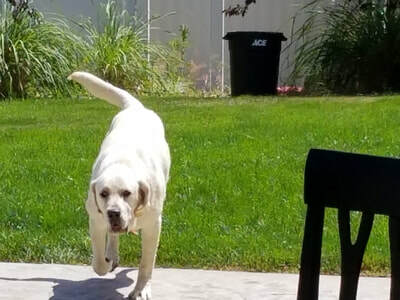 You will get the best of both worlds and a dog with English build and temperament, but the great athletic abilities from Trav's side of genetics. - All puppies from this litter have been sold! 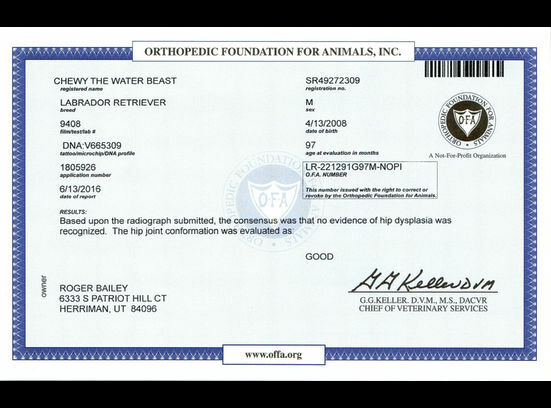 On December 12, 2016 we took Zeke in to get his OFA hips "Excellent", elbows "Normal", Eye Certificate, EIC Clear and CNM Clear. 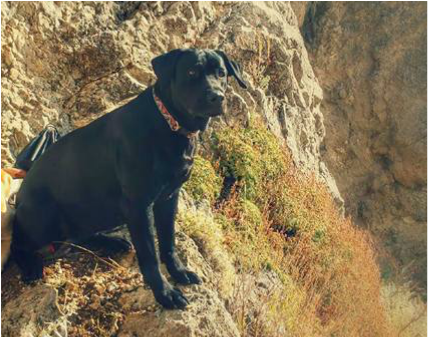 Zeke was born in Highland, Utah on December 10, 2014. 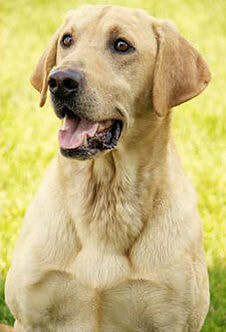 His pedigree is stacked with a 4 time Master national hunter, FC, AFC, NFC, MH, SH, JH. 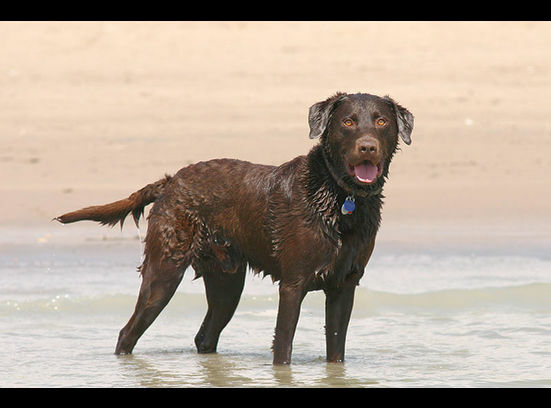 He has total of 20 dogs that have titles in his 4 generations. 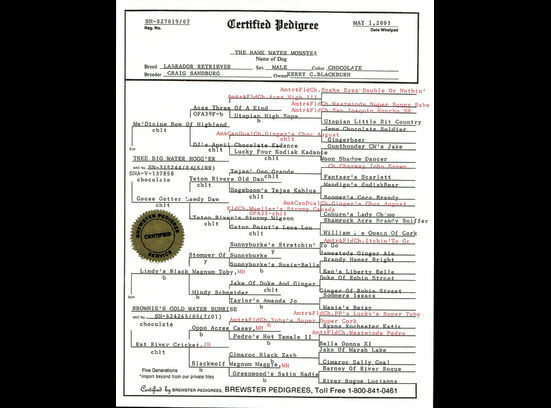 Check out his pedigree down below. He is a great house dog as well, he loves to just sit around and chill but is all business when it's go time. 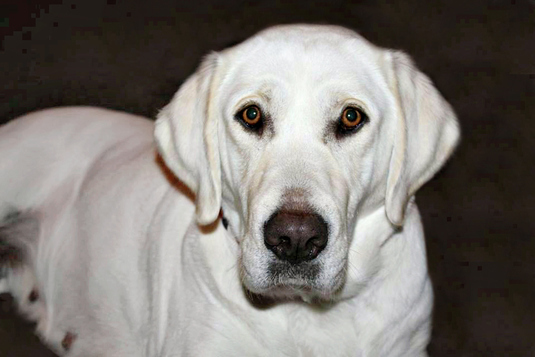 Our yellow female, Bailey was bred to famous Fetch It Up Bustin Zeke SH "Zeke" from www.fetchitupkennels.com. 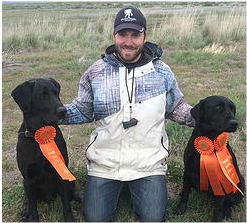 Hunting lines, champion blood lines, OFA tested, DNA tested. 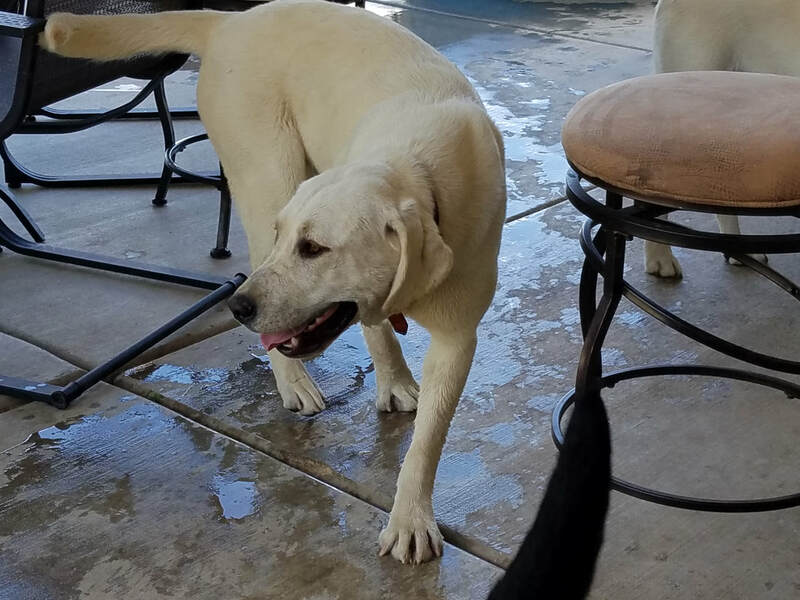 You will get the best of both worlds and a dog with wonderful build and temperament, along with the great athletic abilities from Zeke's side of genetics. 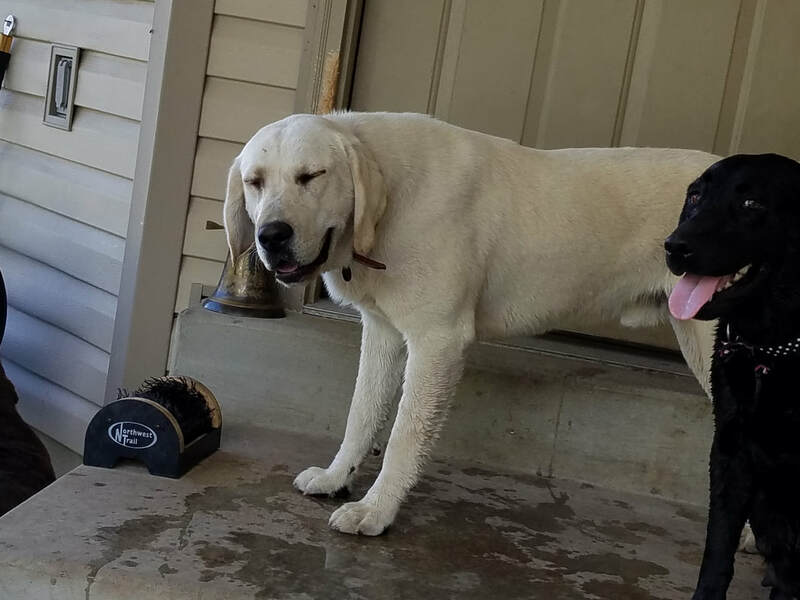 ​All puppies from this litter have been sold! Chewy The Water Beast: Chewy is the pick of his litter with a Big Block Head. 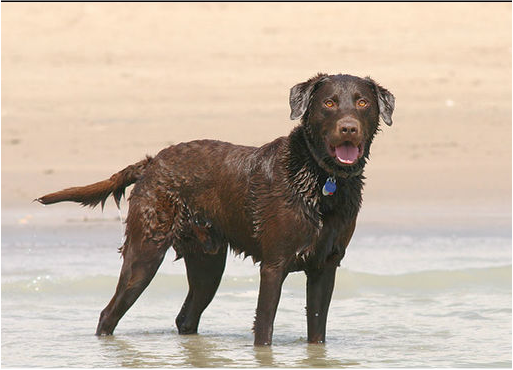 He has a long breeding line of AKC registered parents and grandparents which include Chocolate Labrador Retrievers, Yellow Labrador Retrievers and Black Labrador Retrievers (Has only produced Chocolate and Black pups when breeding with a Yellow female; Therefore he has NEVER produced Dudley Labs). 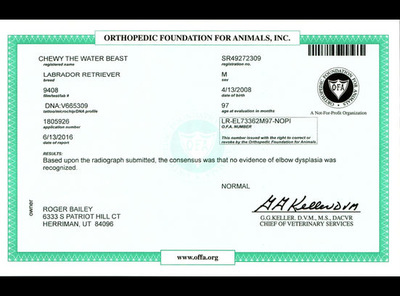 His DNA has been tested and is on record with the AKC. 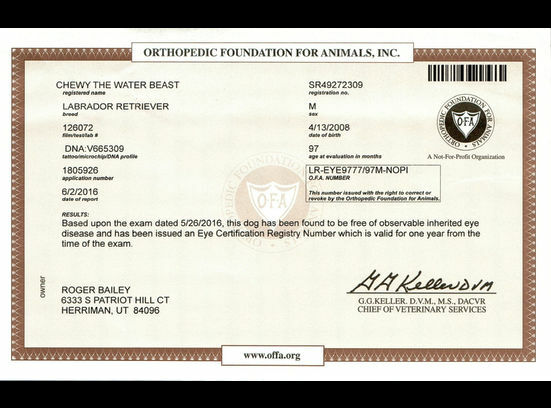 Chewey's Hips, Elbows and Eyes have also been tested and cleared by the OFA (Certificates are in the images below). 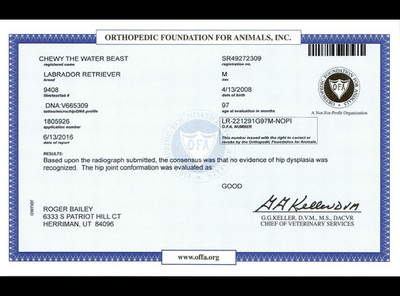 His hips received a rating of "GOOD" and no evidence of hip dysplasia was recognized. His elbows were "NORMAL" and no evidence of elbow dysplasia was recognized. And his eyes were found to be free of any observable inherited eye disease. 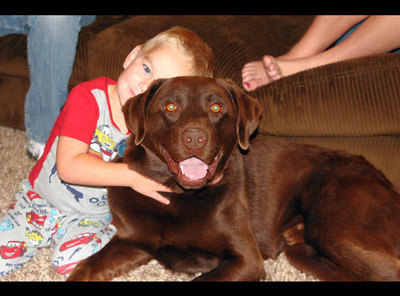 He has sired more than 20 litters and thrown 8 to 12 pups per litter. 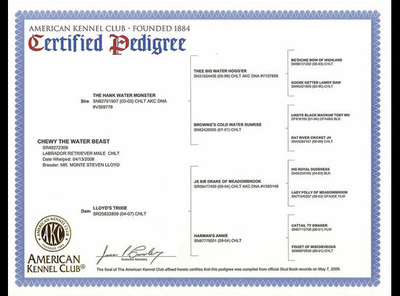 He has many Amateur and Field Champions in his fathers blood lines (See photo of Certified Pedigree, all dogs in RED signify Field Champion Titles). 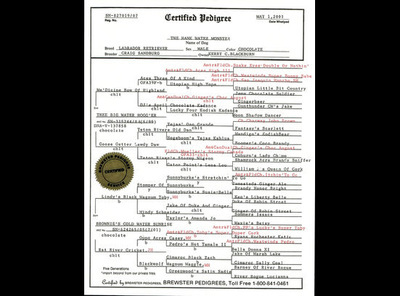 Click the images below to see his pedigree and certificates! 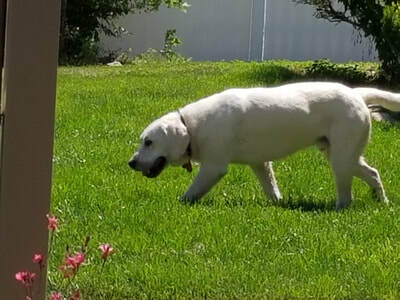 Roy is a 5 year old, 75 pound American Field Labrador. 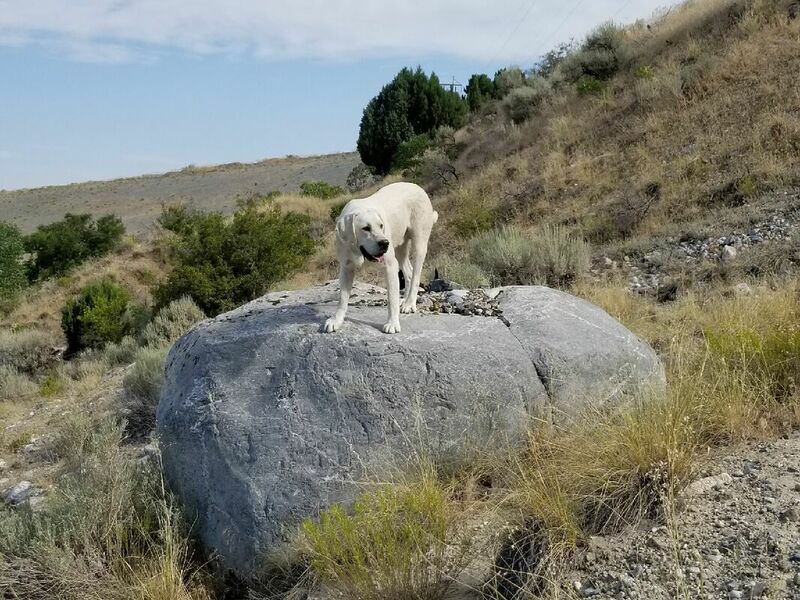 He currently lives in Utah with our trainer Scott Foulger. 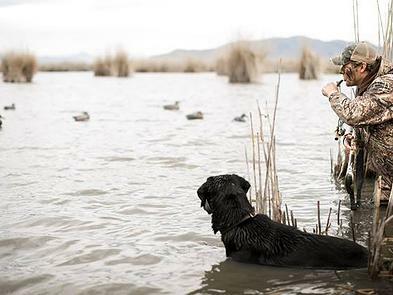 He hunts a lot of waterfowl but also guides upland bird hunts at Wasatch Wing and Clay, he excels at both. 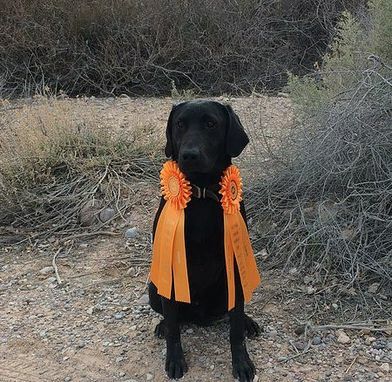 Roy has 4/4 passes on his Juniors and 4/4 on his Seniors giving him a 100% AKC Hunt test record and earning him a full senior title on top of his junior title! 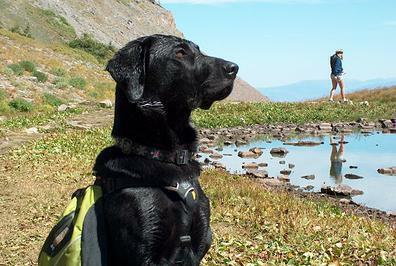 He also has his Canine Good Citizen's title, he passed the test the first time. 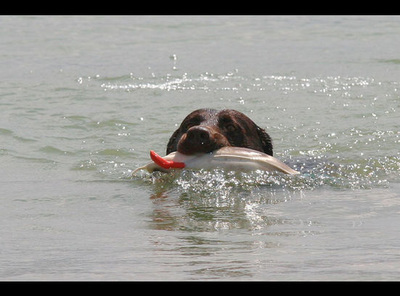 This is a great asset to have on a pedigree for gun dog pups or family pups, it shows the trainability/obedience in a dog that he passes to his offspring. Had his hips, elbows, and eyes OFA tested and certified. Hips scored good and elbows scored normal. Roy has been AKC DNA tested and recorded. Sired 86 puppies so far. Pups have been a good mix of black and chocolate with some all black litters, he has never thrown yellow, even when bred with one. Puppies have sold between $500-$1200 each, depending on the mother's pedigree. Rogue has gone 4/4 on his Junior tests! 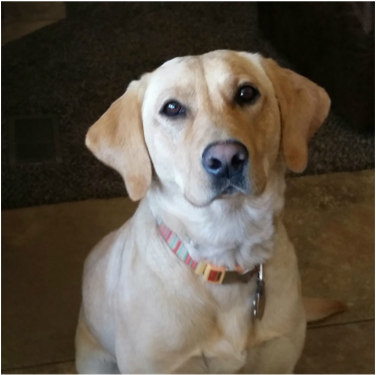 Rogue is highly intelligent, driven and very loving. ​With this being his first hunting season, he is everything we could have hoped for. 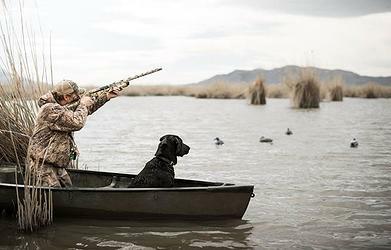 While walking the river, he stays by your side and is very steady in the blind. We're preparing for the Senior tests in 2015! 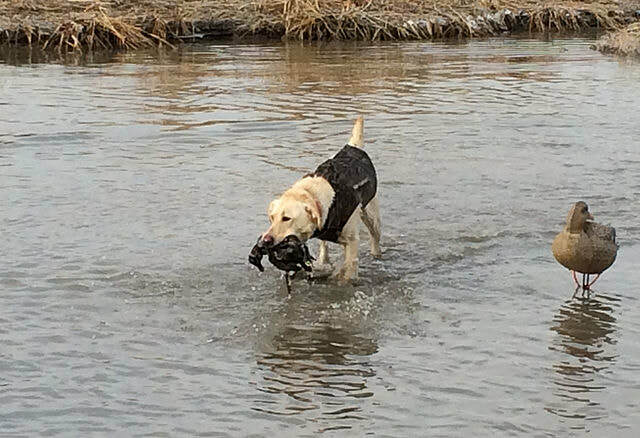 Rogue has a very strong desire to retrieve birds and is just a joy to have in our family! His bloodlines are simply spectacular. Rogue scored a .4 which would be equivalent to a Good rating through OFA. 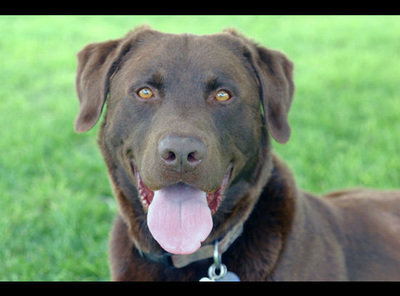 Past Litter!​ - X Rogue JH - All puppies from this litter have been sold!